Want a lightweight vacuum that's designed to clean carpet like crazy? Here it is. 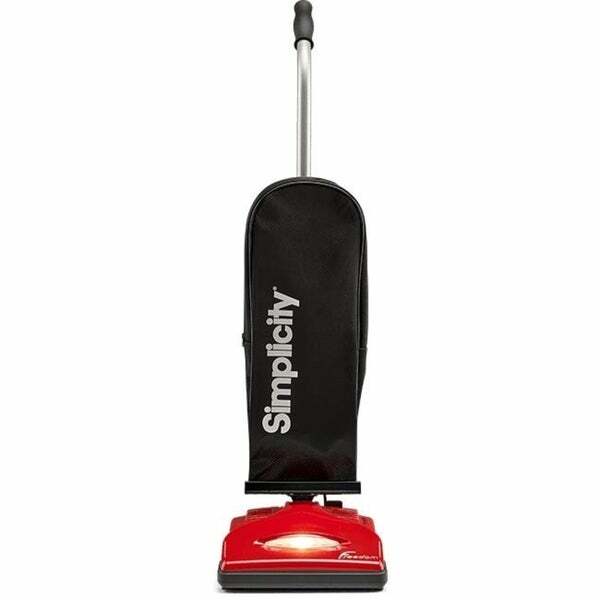 Our original 8-pound vacuum picks up dirt deep down, yet feels almost effortless to use. The new Freedom Entry features metal cord hooks, a metal handle tube with rubber grip, a thick rubber furniture guard and all the cleaning performance you expect from a Simplicity Freedom. Lightweight - It's only 8 pounds! good value with good performance.